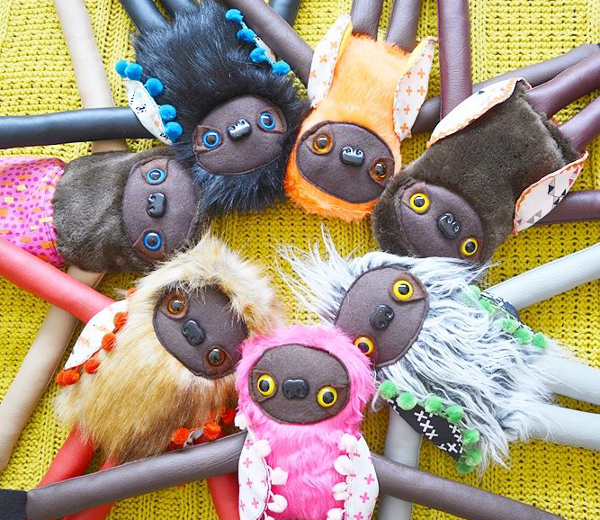 At Babyology we love handmade and we love homemade, and these gorgeous toys made in Melbourne tick all the boxes. Mr Sloth is a quirky, unique, and colourful toy that welcomes warm hugs and helps child development. 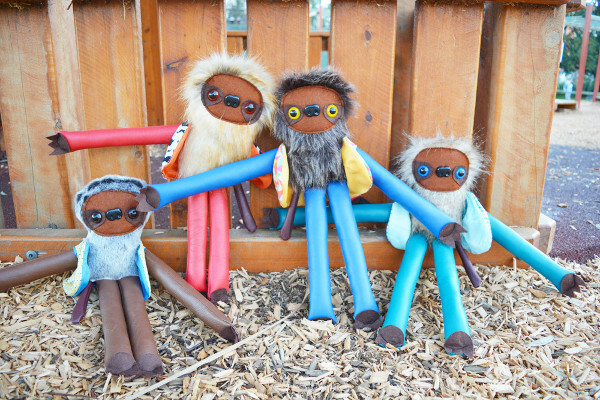 Yes, each Mr Sloth doll is completely individual with his own unique outfit and combination of materials. Creator Maria is an industrial designer who spent years designing infant development toys before her love of homemade crafts let her to create the wonderfully artsy Goodiis brand. Maria’s background in infant design is reflected in the style of these trendy toys. Made from vinyl, felt, and faux fur with cotton clothing, the combination of textures makes this toy a sensory delight to help young developing minds. Yet the most lovely feature might be Mr Sloth’s outstretched arms that are always asking for more cuddles. There is just no such thing as too many cuddles. Each Mr Sloth toy comes with his own unique and colourful shirt, but Goodiis also take custom-made orders. You can create a special gift that matches your child’s taste such as a cosmopolitan hipster sloth or an adventurous safari Mr Sloth. And yes, there are also Ms Sloths that are clothed in stylish skirts. Plenty of fun options with this versatile toy. Mr Sloth is available for purchase through Etsy for $70 plus shipping to anywhere in the world. Visit Goodiis for more fun designs or to find a nearby stockist in Australia or New Zealand. And if you hanker for handmade goodies as we do, you will love our Etsy finds, posted daily at 4pm.